Casio Digital Sport Watch With 10-Yr Battery | BUDK.com - Knives & Swords At The Lowest Prices! Perfect for sports, work or virtually any other activity, this Digital Sport Watch from Casio is packed with tons of useful features. The battery offers a ten-year battery life guarantee and the black cloth band is comfortable, no matter what activity you are involved with from day-to-day. Water resistant to 100 meters, this watch is perfect for water sports, too. 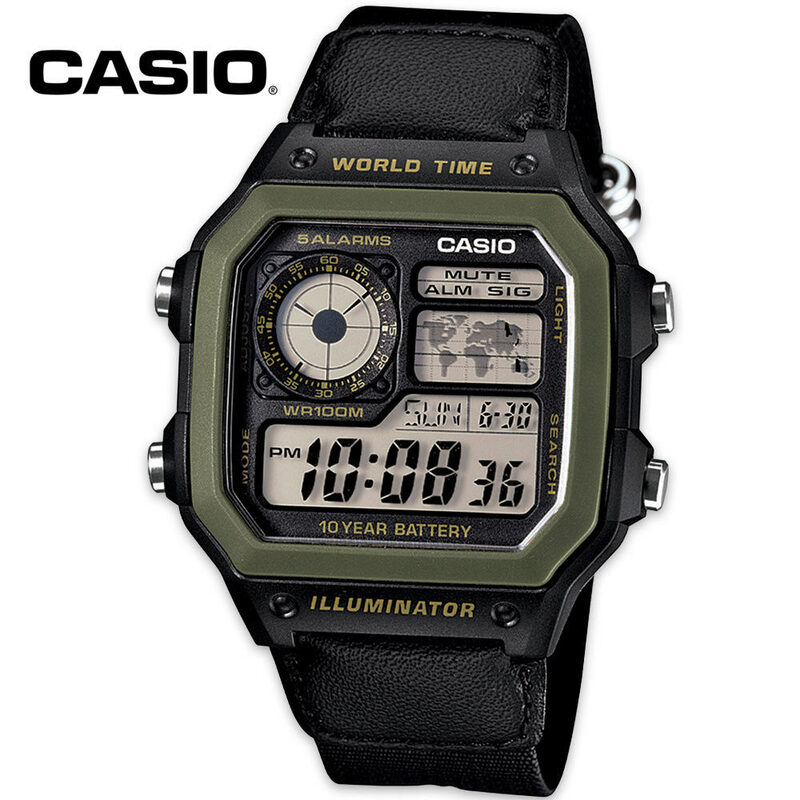 Other features included are a backlight with an afterglow, five alarms, 1/100th second stopwatch, world time map display and an analog LC display.